Light can be a camera's great friend - or enemy - but Axis P1367-E network camera takes even challenging light conditions in stride to deliver consistently excellent image quality. It offers 5 MP resolution at full frame rate. Plus it's robust, resilient and can withstand even harsh outdoor circumstances. Axis P1367-E provides images that are optimized for forensic purposes regardless of light conditions. It offers outstanding light sensitivity and Axis Lightfinder technology for high-quality images even when they're recorded in near darkness. P-Iris provides improvements in contrast, clarity, resolution and depth of field. And Forensic WDR provides great detail when there are both bright and darker areas in a scene. 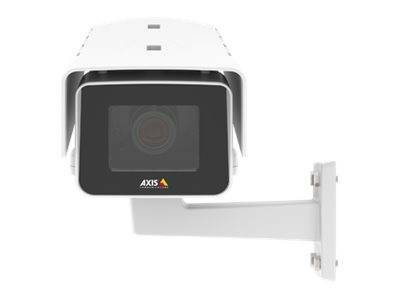 In addition, Axis P1367-E is a CS-mount camera, which means you can select different lenses depending on your surveillance needs. Axis P1367-E is ready for outdoor installation in tough environments. It can withstand different temperatures and you can be sure that the camera housing is resistant to both harsh weather conditions and vandalism. The housing also features an innovative interior that allows plenty of room for bigger lenses. Switching to Corridor Format is easier than ever as well. 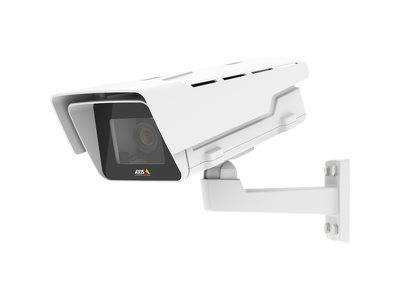 P1367-E features Axis Zipstream technology, which analyzes the video stream in real time to identify areas of interest. These areas are compressed a bit less than other areas, preserving important details in full image quality, while reducing storage and bandwidth. The result is high-quality images and significant savings. Type 5 MP CMOS 1/2.9"